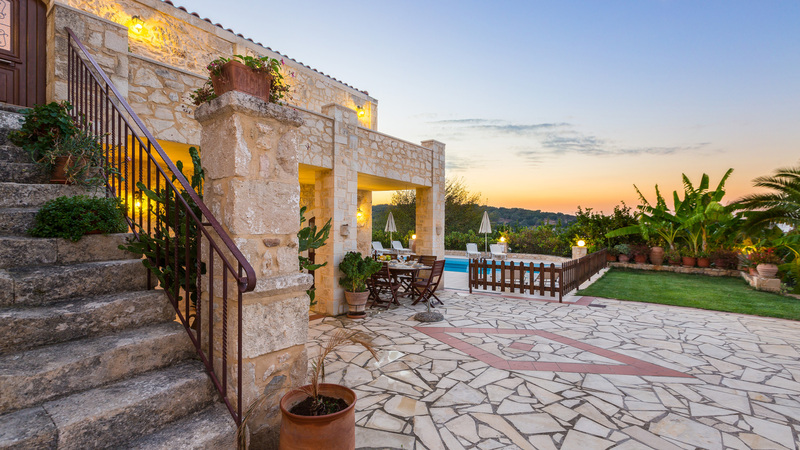 Villa Satra - Traditional Villa in a Quiet Village with Fenced Pool and Amazing Gardens! 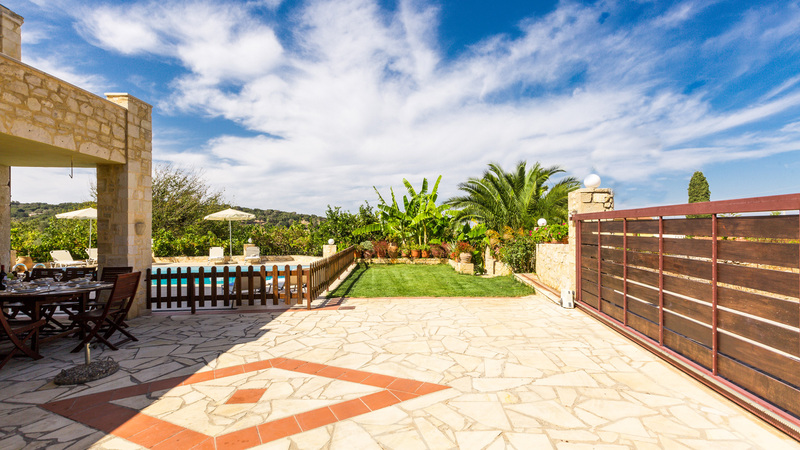 Traditional Villa in a Quiet Village with Fenced Pool and Amazing Gardens! Beautiful views in sunset time will offer unforgettable moment of your stay! 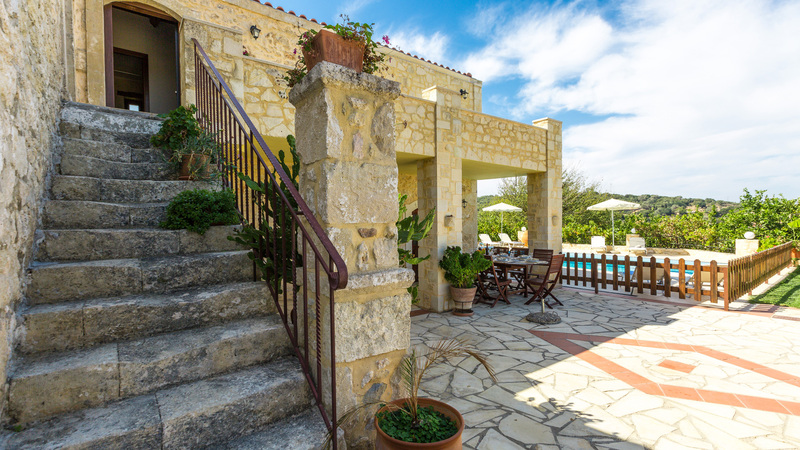 Villa Satra is a 190 sq. 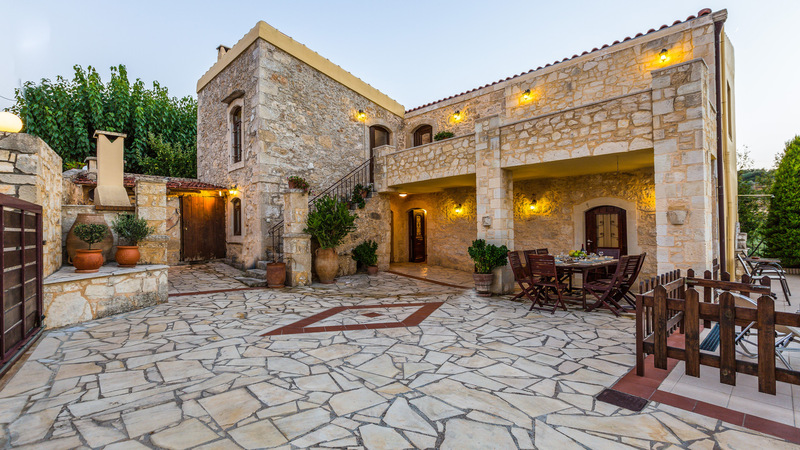 m two-story stone built villa, located on one of the highest spots of the village offering views on the Cretan Sea, Mt. Psiloritis and the whole area. 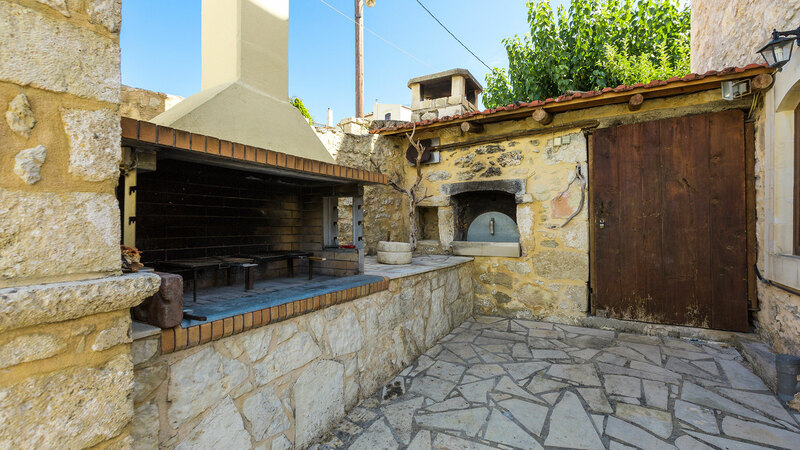 The villa was formally an oil factory built in 19 century and in 1949 it was converted to a residence with the addition of the first floor. 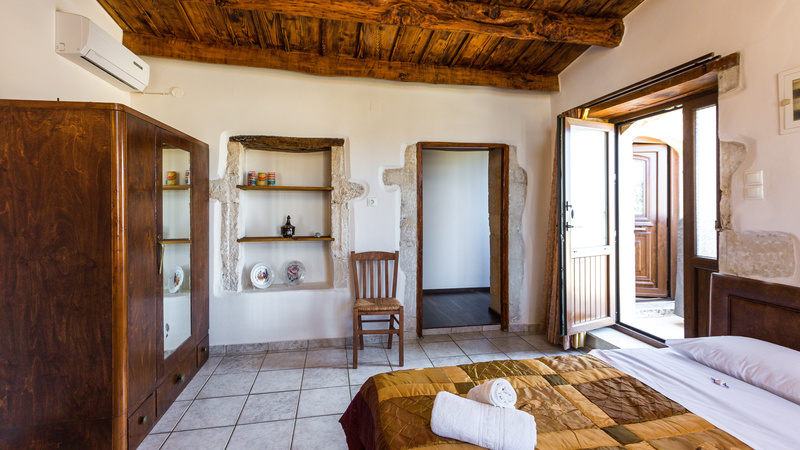 Now it has been fully renovated (2012) and transformed into a comfortable villa with combination of the modern and traditional style. - Full privacy as there are not many houses nearby. 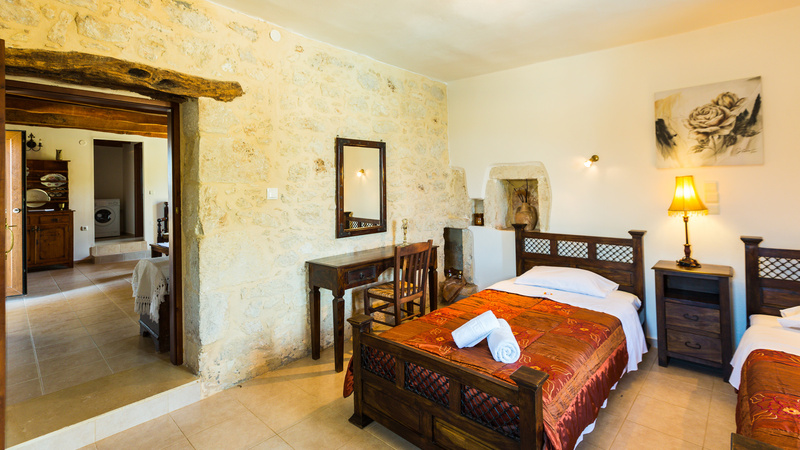 - Truly Cretan traditional house to feel the way of real life in Crete! 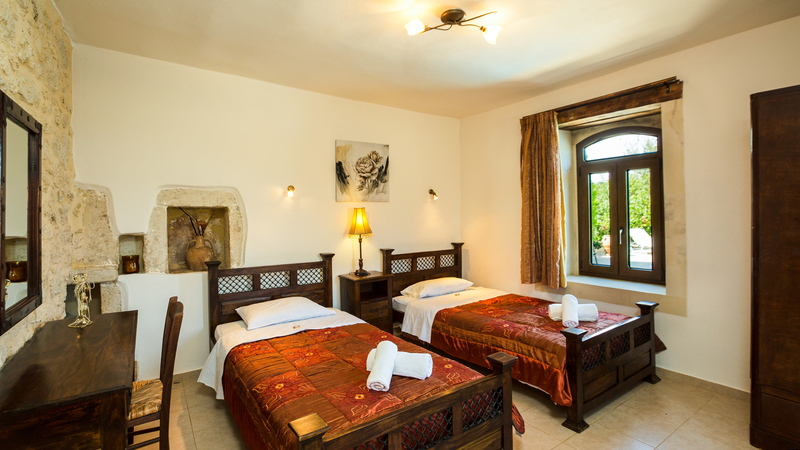 - Great layout for all the guests such as families, friends and couples. - Safe pool fence for children. 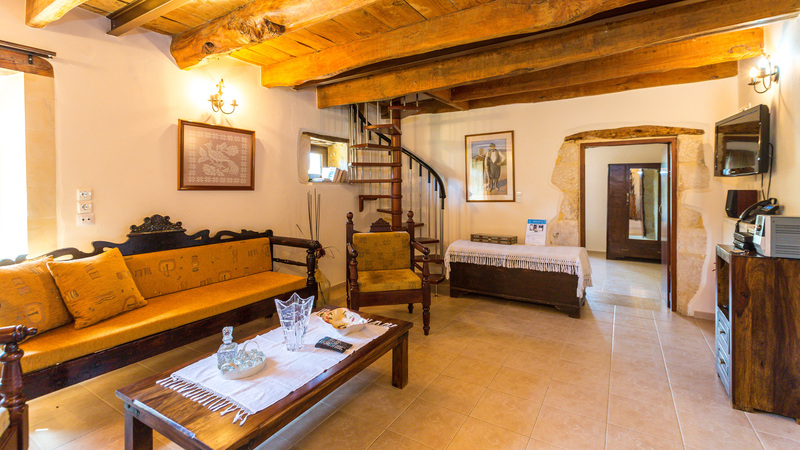 - Walking distance to a tavern and a mini market. 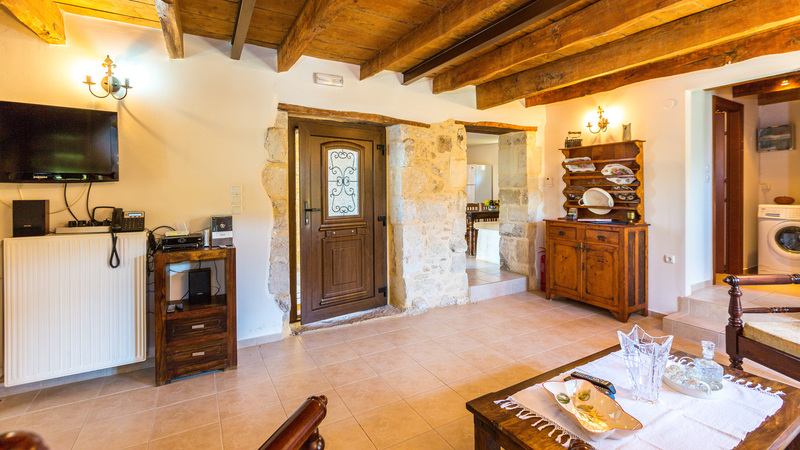 - Next to the villa going down to the lower level there is a big plot of land which you have direct access from the villa and you can find all kind of vegetables and fruit trees that you can use for your meals. Also our grandmother who lives nearby will deliver you every morning fresh eggs from her chickens and other Cretan specialties. - Owners hospitality! The owner will be on hand to help and give you any advice required. - Total nature around the villa but close to the village centre! 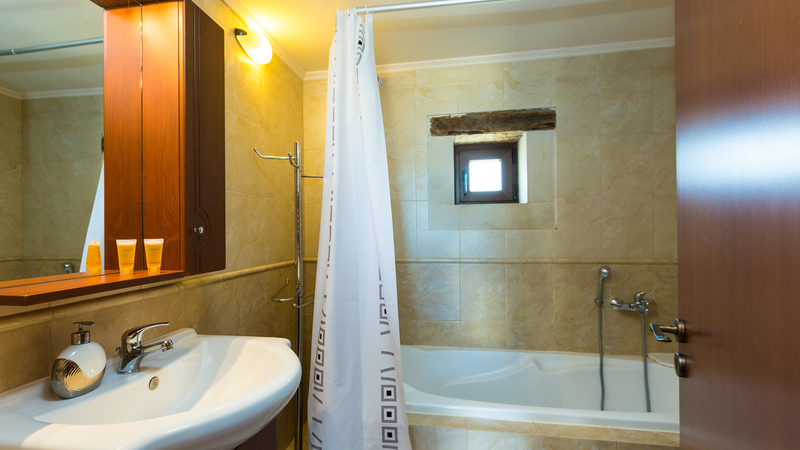 It can accommodate 8 up to 10 people in 4 bedrooms. Entering the villa on the ground floor, the living room area provides a complete entertainment area, as the TV corner has a DVD player, satellite TV and WiFi connection. 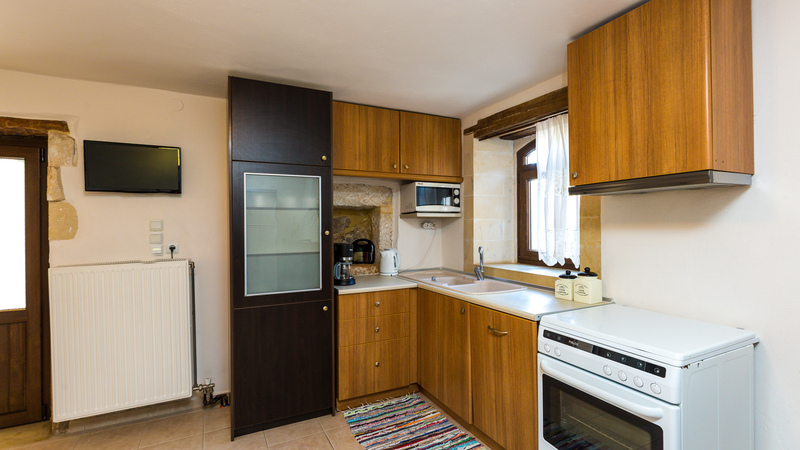 The fully equipped kitchen has all the essentials (such as electric oven, microwave, fridge and freezer, dishwasher, coffee machine, toaster and washing machine). 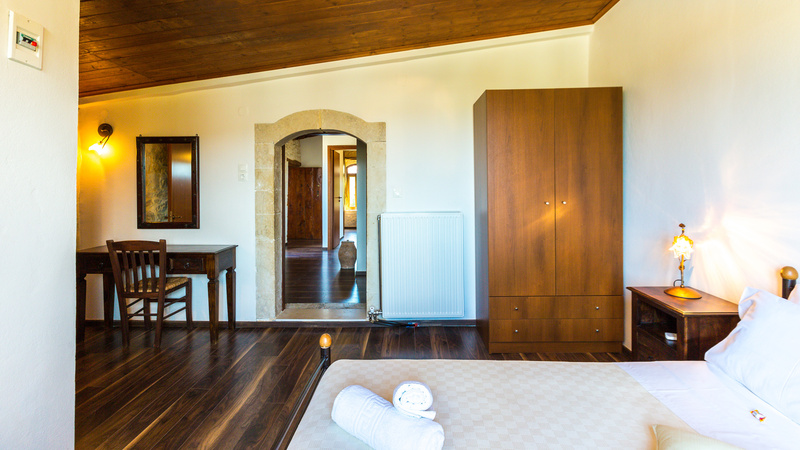 There is also a bedroom with two single beds and a bathroom with shower on the ground floor. 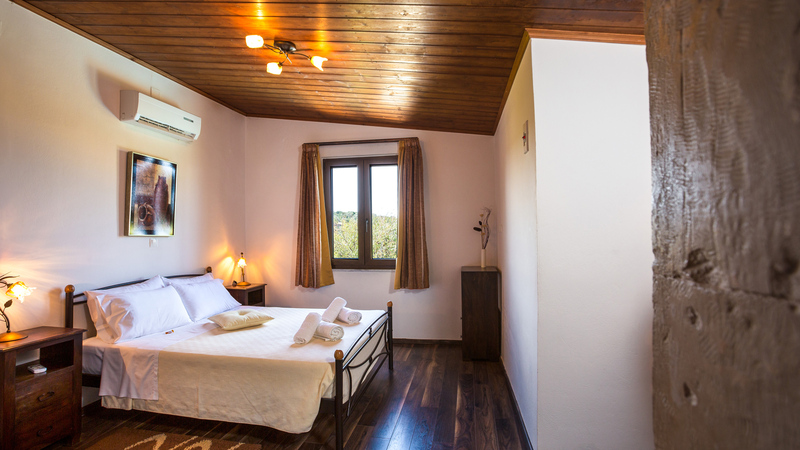 On the first floor there are three more bedrooms, two with double bed and one with two single beds. 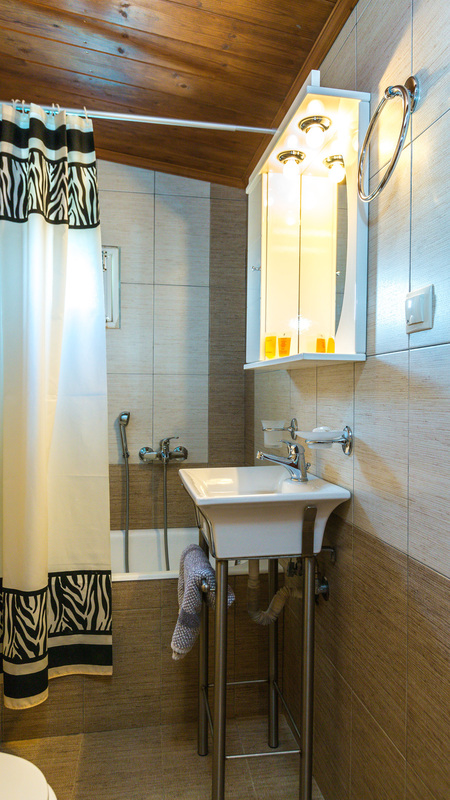 This floor has two bathrooms and one is an en-suite bathroom with a double room. 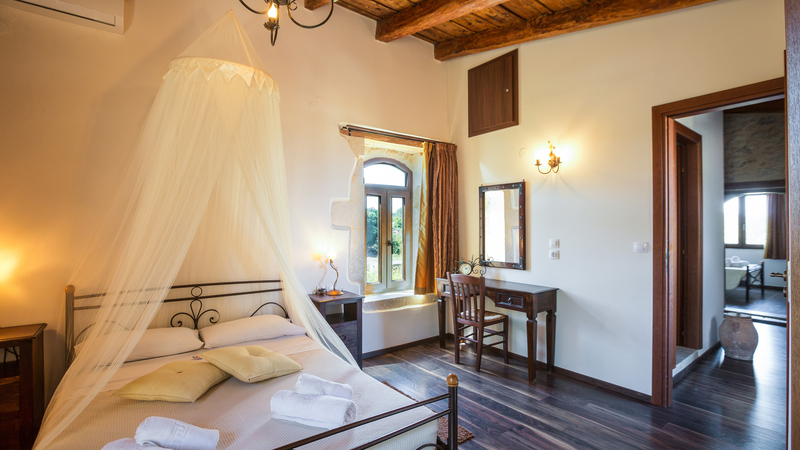 All the interiors are cozy and tastefully decorated with wooden and iron furniture, elegant drapery and curios. Comfortable sofas and big dining tables in both indoor and outdoor areas guarantee relaxed summer evenings. 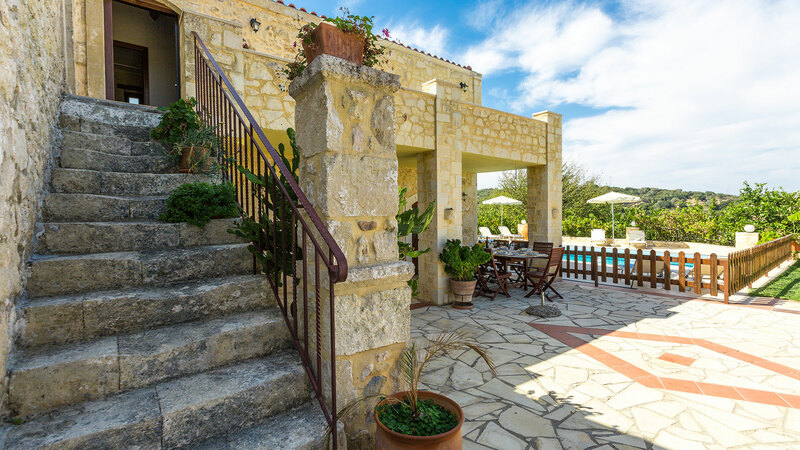 Outdoor area of the villa has a big garden with barbecue facilities and a traditional wood oven, parking area and a 40 sq.m private swimming pool with sun beds and umbrellas. 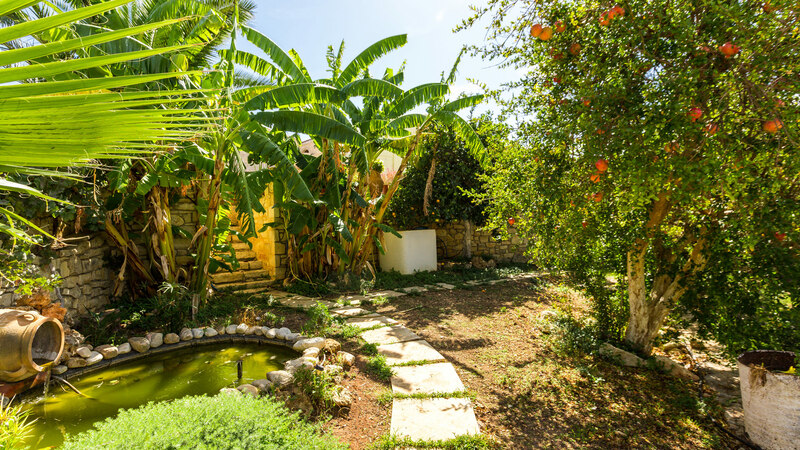 In a lower level there is a large fenced plot of land which has vegetable gardens and fruits trees which you can enjoy with your meals! 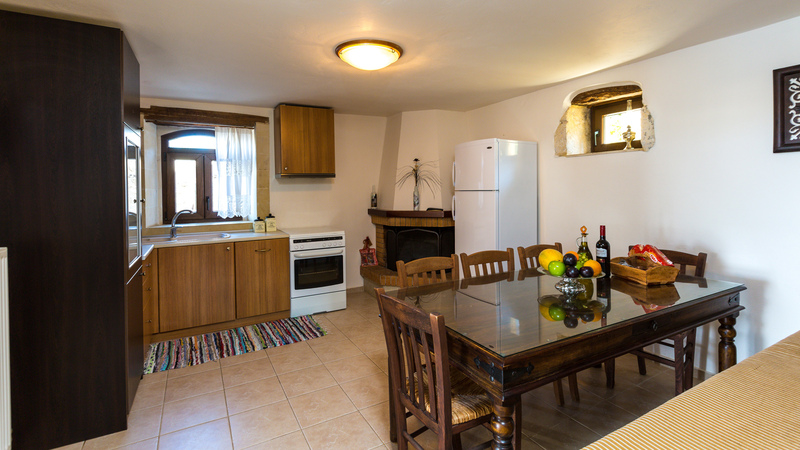 The fully equipped kitchen has all the essentials (such as electric oven, microwave, fridge and freezer, dishwasher, coffee machine, toaster and washing machine). Entering the villa on the ground floor, the living room area provides a complete entertainment area, as the TV corner has a DVD player, satellite TV and WiFi connection. Our grass covered garden is surrounded by beautiful flowers and fruits trees. 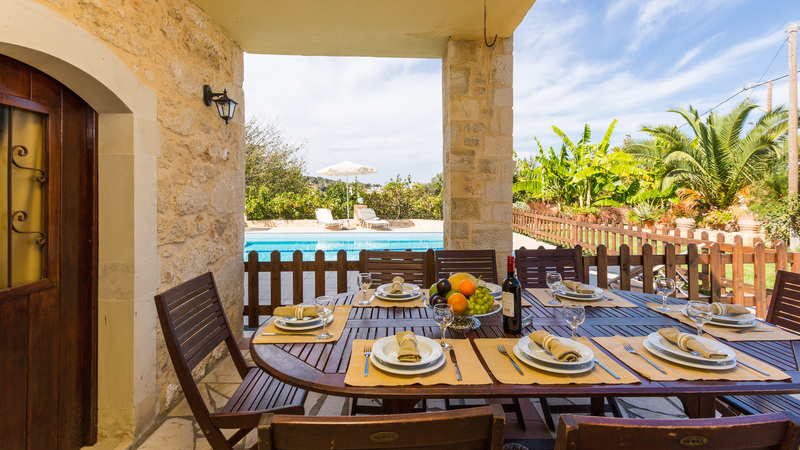 In addition to the spacious pool and the barbecue areas which are next to the garden you can also find a dinning table. Moreover, fresh vegetable and fruits from our garden are entirely at your disposal! 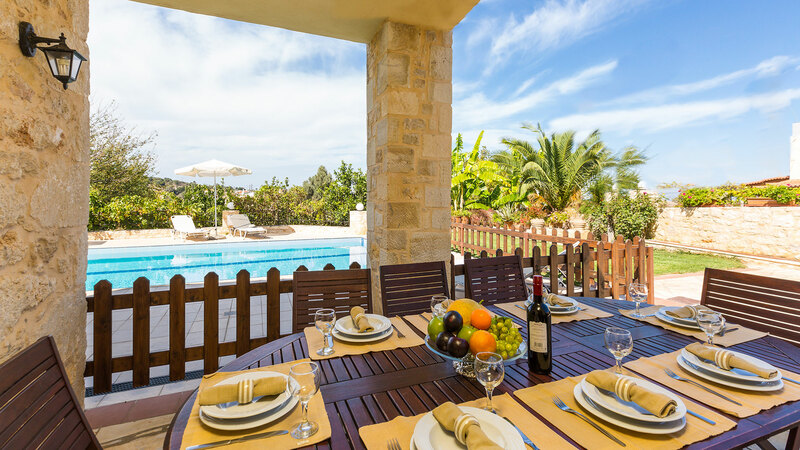 The villa has two dining tables, one in the kitchen area and the other next to the barbecue area outdoor!